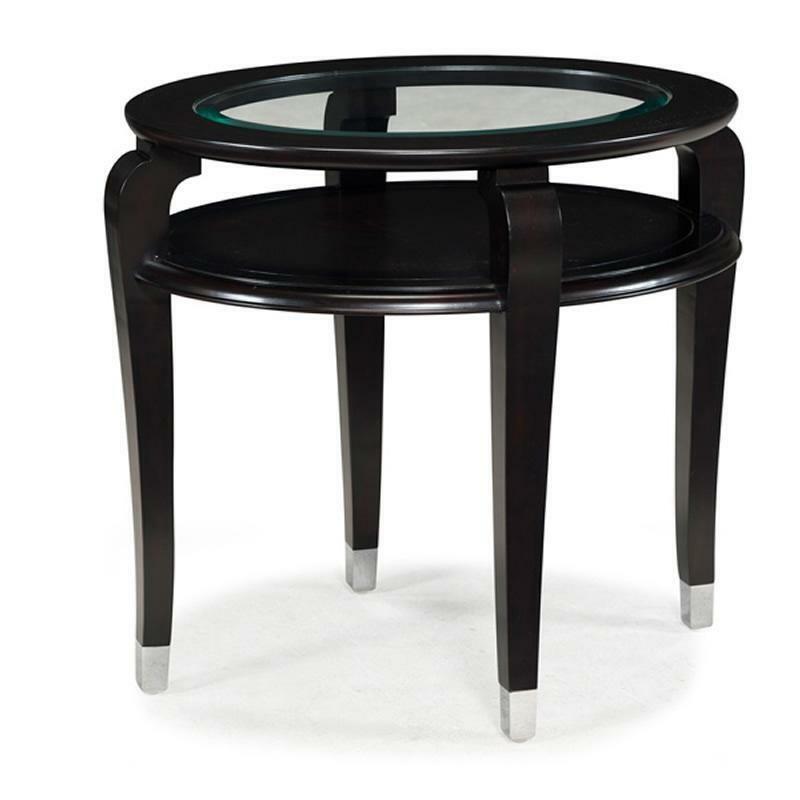 Simple and sleek in design, the round accent table features premium cherry veneer in an Ebony finish accented by metal capped cabriole legs. 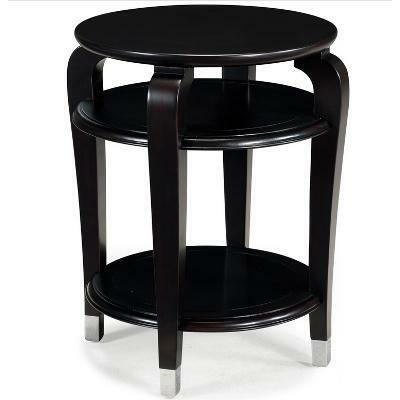 The table offers tiered shelves, each with a lovely sculpted edge, for displaying home accents. 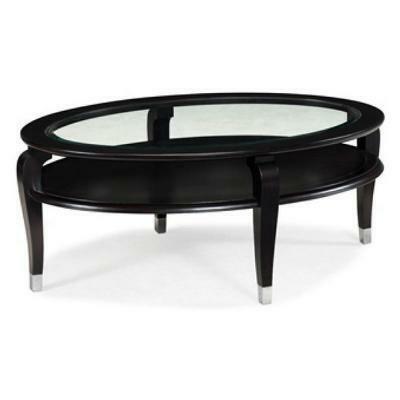 Feature this accent table in your home and enjoy the sophisticated balance achieved by its timeless design. 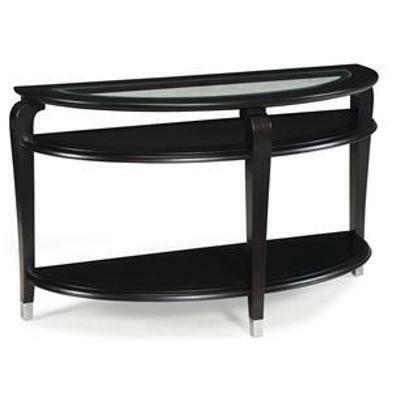 Additional Information The table offers tiered shelves, each with a lovely sculpted edge, for displaying home accents.